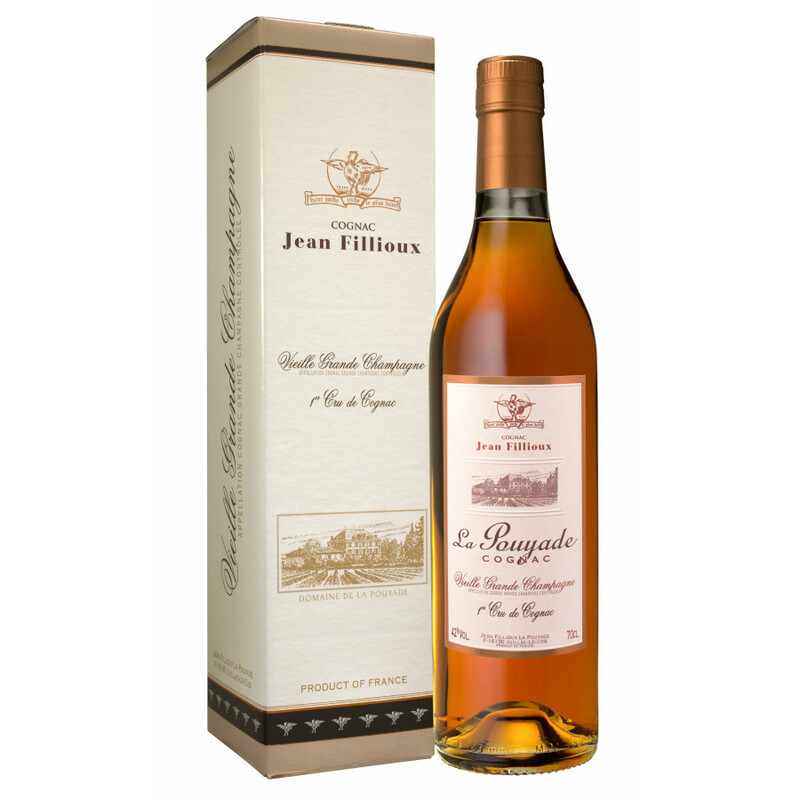 Jean Fillioux La Pouyade Cognac is a super, slightly over-proof cognac (as 42%) that's a wonderful example of a well-balanced and complex Grande Champagne cognac. This VSOP provides a huge amount of interest on the palate, with its floral notes and those of spring flowers. 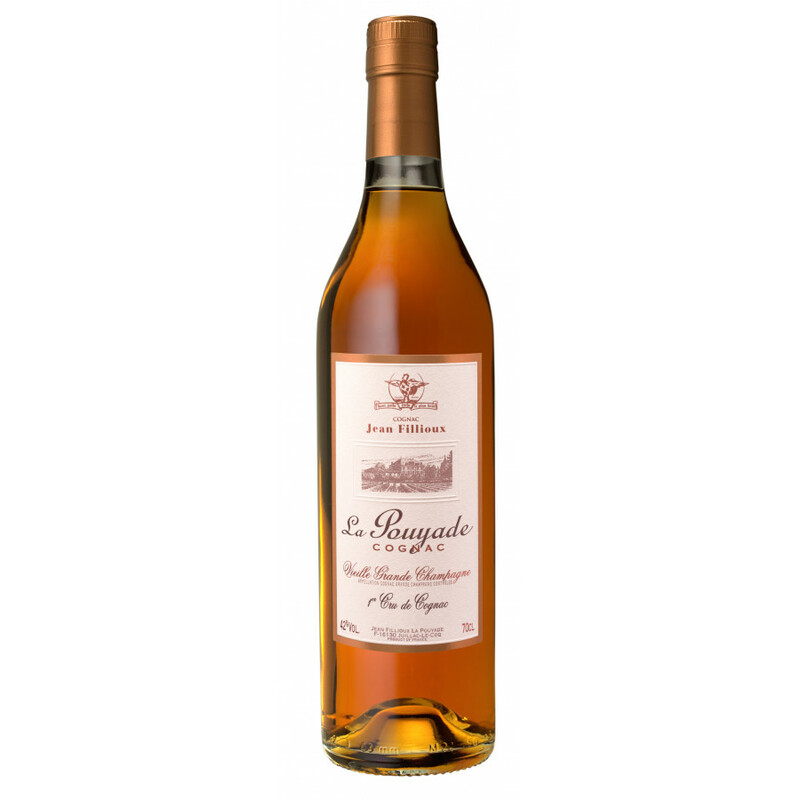 A perfect cognac for a party - the lively aromas of fresh fruits seem to explode on the palate. It's an ideal taste to sip whilst tasting delicate bites of smoked salmon, dried hams, sausage or bluye cheese. Perhaps it's this complexity of taste that makes this cognac a favorite of those who also love whisky.